It’s once again that time of year when young adults across the country are graduating from high school and college and embarking on new and exciting chapters of their lives. While it's a time for celebration, it can also be a time of anxiety and worry for parents. Underage teens are looking forward to spending the summer with friends, preparing for college or post-collegiate life, and, of course, going to graduation parties. While graduation party season is a time of excitement and celebration, it can be a time of anxiety and worry for parents. With about 10.8 million underage drinkers in the U.S., parents hope their kids will make good choices when faced with peer pressure at parties. Luckily, you don’t have to leave it up to chance. Parents, you play an important role in helping your children make the right decisions. 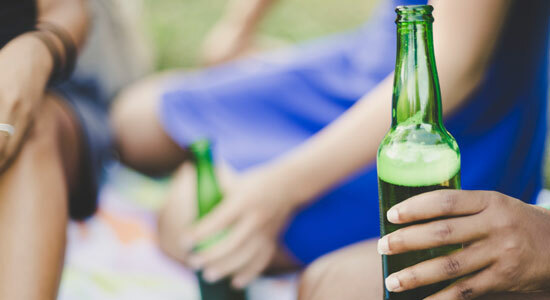 Only one in 100 parents believes that his or her teen binge drinks, when the reality is that one in six teens engage in binge drinking activities. It is better to accept this reality than turn a blind eye and pretend underage drinking does not happen. Graduation parties are a time of celebration, and many revelers will be pressured to turn to alcohol to have a good time. Don’t hesitate to discuss your expectations with your high school graduate about underage drinking, and drinking and driving to prevent any dangerous situations. Graduation is a time of newfound freedom, but many teens do not know that drunk driving can result in the loss of their license—and a loss of that new freedom. In fact, drunk drivers younger than 21 will face an automatic six-month suspension of their driver’s license if charged. Whether your graduate is a teen, or now of legal drinking age, talk to them about the repercussions of drinking and driving. You might not be able to stop drinking altogether at graduation parties, but you can prepare your child to make better decisions by informing them of the risks involved. If you are hosting a high school graduation or a college commencement party, be aware of Pennsylvania’s social host laws. Don’t try to be the cool parent serving alcohol, because you can be held responsible if a minor consumes alcohol at your party and is injured or injures someone else in an accident. Even if no one is injured, it is a third-degree misdemeanor to serve alcohol to underage individuals. You can face up to one year in prison and a fine of at least $1,000. If you are hosting a large party where you won’t be able to monitor everyone in attendance, hire a trained bartender. Talk with your graduate about where parties will be and how they will be getting there. If your child is part of a large graduating class, it is likely that there will be days when they have multiple graduation parties to attend. Offer to drive your teen and their friends around from party to party to avoid dangerous driving situations. For college graduates, remind them that summoning an Uber or taxi, or crashing at a friend's house is the right choice if they've consumed too much alcohol to safely operate a motor vehicle. Pro tip: Reach out to the parents hosting the parties to make sure alcohol will not be served to minors, and even remind them about the repercussions of social host laws. If your new graduate finds him or herself in a situation where they may be getting in a car with a drunk driver, make sure they have a backup plan. One in three drunk driving deaths happen to 16-20 year-olds, so make sure your teen avoids possible drunk driving situations. Offer to pick them up from the graduation party, no matter how late it ends. You can also set up an Uber or Lyft account that your teen can access if they ever need a ride home. All of us here at Edgar Snyder & Associates wish the Class of 2017 all the best. We hope your graduation season is full of merriment and good memories.